Set in a large estate surrounded by olive groves, Torraiolo Agriturismo offers spacious and unique apartments in the historic town of Barberino Val d'Elsa, overlooking the Elsa Valley. Each apartment has original features such as tiled floors, wood-beamed ceilings and even fireplaces. They all come with a fully equipped kitchen with fridge and dishwasher. Outside in the gardens, guests will enjoy the swimming pool and barbecue facilities. Parking is free as is internet access at the internet point. Torraiolo Agriturismo is just 800 metres from Barberino centre, where you can also find bus links around the Chianti wine district. 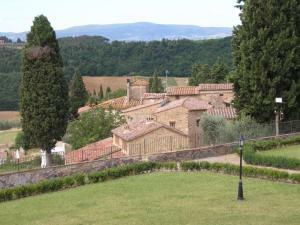 Florence city centre is around 40 minutes away by car. 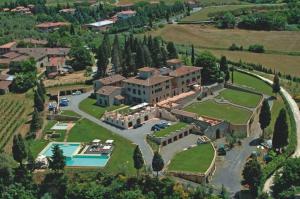 When would you like to stay at Agriturismo Torraiolo ? This apartment features a fireplace, dishwasher and kitchenware.Please note, the apartment can be located on the ground floor or on an upper floor. Please specify your preference when booking. This apartment features a sofa, tea/coffee maker and seating area.Please note, the apartment can be located on the ground floor or on an upper floor. Please specify your preference when booking. This apartment features a dishwasher, seating area and kitchenware. Guests are required to show a photo identification and credit card upon check-in. Please note that all Special Requests are subject to availability and additional charges may apply. Please inform Agriturismo Torraiolo in advance of your expected arrival time. You can use the Special Requests box when booking, or contact the property directly with the contact details provided in your confirmation. Swimming pool is closed from Tue 20 Nov 2018 until Sat 11 May 2019 Reception closes at 18:30. Please advise in advance if you plan on arriving later than this. Please note that the swimming pool is open from 25 May until 5 October 2018. Each day we'll check prices and send you an email for your selected dates at Agriturismo Torraiolo. If you don't have specific dates but would like to check prices for say next weekend or say next month we can check the price too. Click to write a review and share your experience of Agriturismo Torraiolo with other travellers.